The Arch Rival is a superb quality writing metal pen. 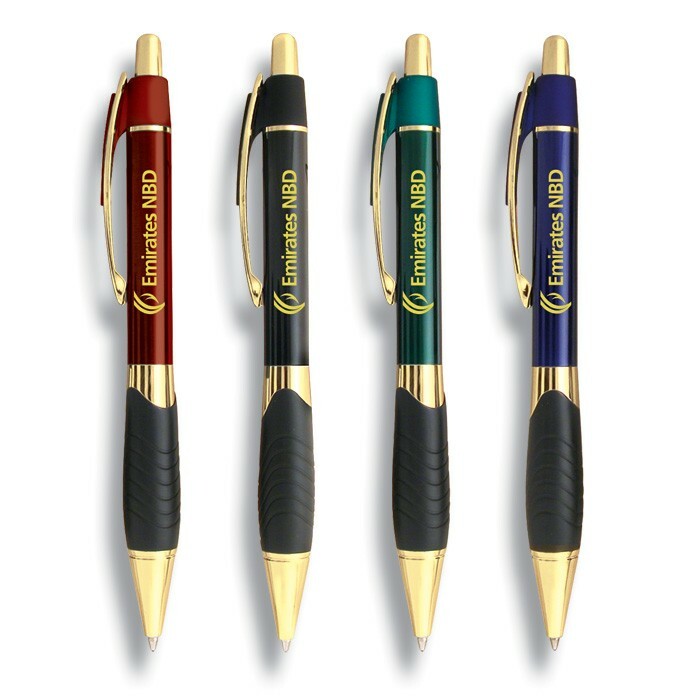 It is an anodized brass retractable pen with gold trim. The pen has a great feel so you can write all day! It is available in burgundy, blue, green and black. This pen has a high gloss finish, with a rubber grip area which makes writing a breeze. Included in the cost is up to 3 lines of copy laser engraved in one of our standard typefaces, a black ink refill and individual cellophane wrapping. Complies with FDA. message, or graphics of your choice. Please send us an email @ orders@woodartsuniverse.com to get further details. Weight: 44lbs per 1000 pcs.